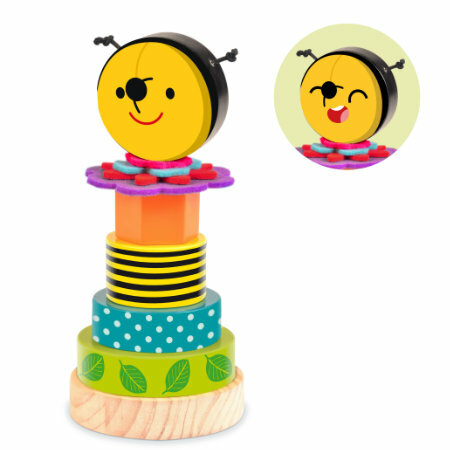 The Bee Stack & Play is the perfect toy to help develop those really important spatial and motor skills. Suitable for babies 12 months and older, the Bee Stack & Play combines wooden stacking rings with colourful flower-shaped fabric pieces allowing children to get creative with stacking and sorting! By creating different stacks using the wooden and fabric pieces children will develop a greater understanding of shape and size, and how they interact with each other. They will enjoy stacking the pieces by size, colour, or material and have fun being creative and playing with the Bee Stack & Play.